Authorities in Mae Hong Son are planning to nominate 119-year-old Kamu Tongnumchokdee to the "Guinness Book of World Records" as Thailand's oldest person. Kamu, who is of Karen ethnicity, was born on May 8, 1894. He had four children, one of whom recently passed away. He lives by himself in a one-storey house and his diet consists of coarse rice, vegetables with chilli dip and fish. Relatives say he is healthy and able to fend for himself. Also, he goes fishing everyday. 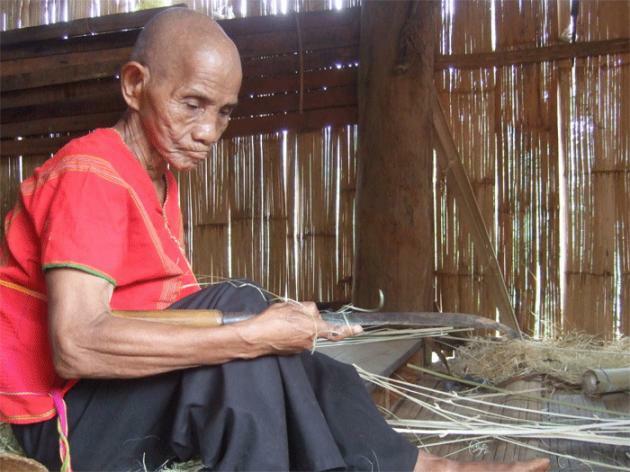 Authorities in Mae Hong Son are planning to nominate 119-year-old Kamu Tongnumchokdee to the "Guinness Book of World Records" as Thailand's oldest person. Kamu, who is of Karen ethnicity, was born on May 8, 1894. He had four children, one of whom recently passed away. He lives by himself in a one-storey house and his diet consists of coarse rice, vegetables with chilli dip and fish. Relatives say he is healthy and able to fend for himself. Also, he goes fishing everyday.